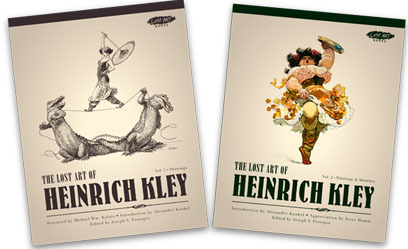 The two books about Heinrich Kley that I mentioned in an earlier post have arrived. I already had copies of the other books on Kley published by Dover and Borden , but these new volumes add a lot of new images and information that will satisfy both new and dedicated Kley fans. 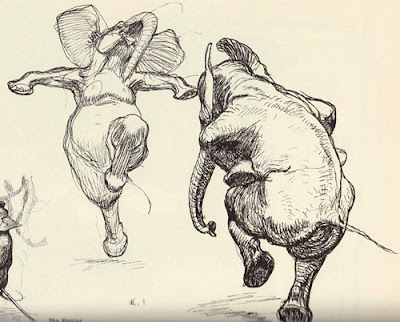 For those who don't know his work, Heinrich Kley (1863-1945) was the German artist who produced amazing pen and ink drawings of dancing elephants, alligators, satyrs, and nubile ladies. 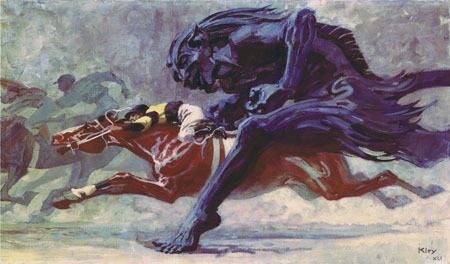 These drawings have influenced Walt Disney's Fantasia crew and many other artists. They're full of wit and invention, and they're jaw-droppingly well drawn. Publisher Joe Procopio combed through the extensive but untapped Library of Congress archives of the magazines Jugend, Simplicissimus, and Der Orchideengarten to find images that hadn't been reproduced before in recent republished collections. He also enlisted the help of Kley scholar Alexander Kunkel to look far deeper into what's known about Kley's life than previous books have covered. Volume 1 (Drawings) is 216 pages long, softcover, 8.5x11 inches. It presents black and white work, mostly pen-and-ink, including children's book artwork, adult genre fiction illustration, and the more familiar satirical drawings. 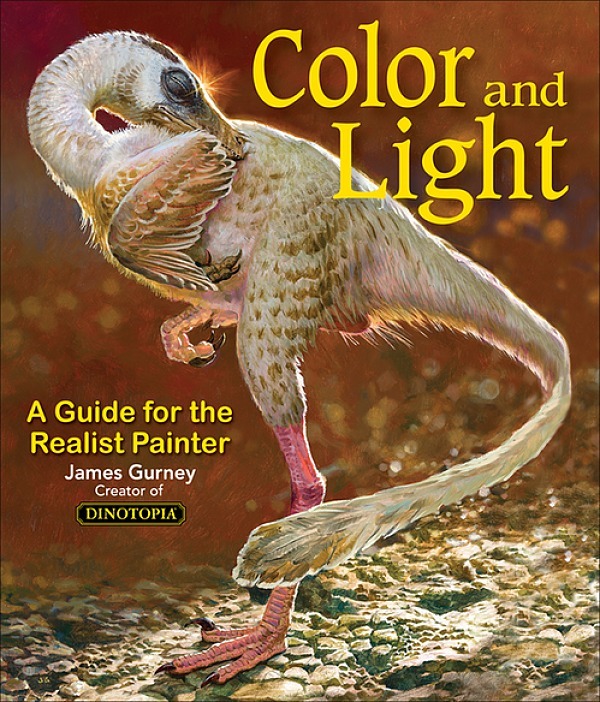 Volume 2 includes a lot of examples in color, not only of animals, figures, and fantasy, but also of Kley's industrial and architectural painting. 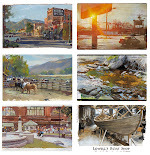 Each book has original essays by artists and historians which shed new light on his work and his life story. Jesse Hamm's illustrated essay in Book 2 analyzes the drawings from an expert artist's eye to deconstruct how Kley must have worked and what makes him so distinctive. The books are available directly from the publisher through the "Lost Art/Picture This" website and at some retailers. Thanks for spreading the word on these new books. They have been placed near the top of my Christmas list. My 1961 edition of the Dover soft cover is a regular source of inspiration; its worn orange cover bears a $2.00 price tag. Thanks so much! I had remembered seeing those wonderful ink drawings years ago, but had forgotten the artist's name. I got both but was not that into the frist vol. the 2nd on IMO is a must have for Kley fans. Goes very nicely with the dover books and has some great essays as well. I highly recommend vol 2. Thanks again, James, for the post on my Kley books. The only way I have of publicizing these books is word of mouth, so I truly appreciate it! And I just got my copy of Spectrum 19 today, so a belated congrats on the grand master award, too! Good call, just got them in the mail. I love Heinrich Kley. Curtis, you're welcome, and it's never too late. Like the old Chinese saying: "The best time to have invested in real estate was 20 years ago. The second best time is right now." The same holds for studying and practicing art.